The Hotel Setar offers its guests an area dedicated to sport, wellness and fun. Our sports area is set right in the middle of the park area and boasts a huge open-air swimming pool, 4 tennis courts, two 5-a-side floodlit soccer pitches and a space for exercises or jogging. The pool is surrounded by a well cared for lawn, which has plenty of umbrellas and loungers for our guests and is right next to the children’s pool. Hotel Setar guests can get special rates at the Sa Tanca Golf Club (just 5 minutes away from the hotel by car ), and at the Centro Benessere Thalassos, where you can book a thalassotherapy circuit or a fangotherapy treatment or pamper yourself with a hydromassage, a relaxing massage or one of the other beauty treatments. 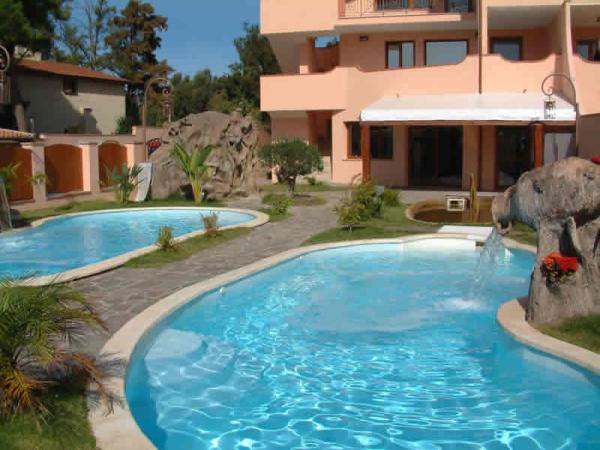 We also work with some bathing establishments on Poetto Beach, where our clients can hire not only loungers and beach umbrellas but also canoes or windsurf boards or even grab a typical bite to eat in the beach restaurant!